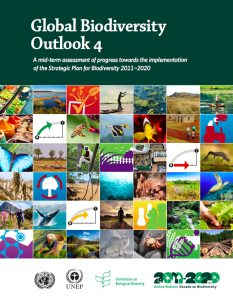 According to recent findings published in Global Biodiversity Outlook 4 by the Convention on Biological Diversity, efforts to achieve the Strategic Plan for Biodiversity 2011-2020 and the Aichi Biodiversity Targets are currently falling behind. The plan “provides an overarching framework on biodiversity, not only for the biodiversity-related conventions, but for the entire United Nations system and all other partners engaged in biodiversity management and policy development.” It includes five strategic goals, like Goal A: Address the underlying causes of biodiversity loss by mainstreaming biodiversity across government and society, in addition to 20 corresponding targets. In order to draw stakeholder attention back to the Strategic Plan for Biodiversity and revitalize commitments, The Secretariat of the Convention on Biological Diversity and the Government of Mexico are inviting businesses and financial institutions to sign the Business and Biodiversity Pledge. “The pledge provides an opportunity for business leaders to call attention to the importance of biodiversity and ecosystem services for businesses and to reaffirm their commitment to take positive action in support of biodiversity” (Convention on Biological Diversity). The pledge is currently open for signature submissions. A formal signing ceremony will take place on December 2, 2016 at the 2016 Business and Biodiversity Forum.